HB Education And Consulting Services (P) Ltd.
Checkpoint Certified Security Expert (CCSE) Designed for more experienced security professionals, CCSE NGX certification is one of the most highly recognized and respected vendor-specific security certifications available. Cybervault is a Qualified Security Assessor (QSA) and Approved Scanning Vendor (ASV). Its well-defined methodologies and self- devised technological back-up ensures easy and quick Payment Card Industry Compliance and Certification Solutions. As an industry leader Cybervault provide best in class Information Security Solutions to help organizations comply with PCI DSS requirements. Enables a student to perform seamless product upgrades, Back-up andrestore networks, Monitor suspicious network activities, Troubleshootnetwork connections, Analyze attacks. Achieve high performance and high security. Information Technology plays an integral part in the Financial Services industry, particularly in Investment Banking. It is one of the strongest enablers to gain competitive advantages in every business area ranging from financial securities trading to sales and risk management, operations, risk and regulatory. 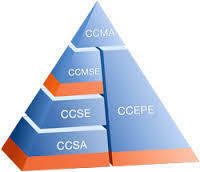 CCSE (checkpoint certified security expert) is an industry standard certification program that validates the skills and knowledge of the candidates in the internet security. the training and the testing of this program includes in depth study of encryption technologies and how to implement site-to-site and remote access VPNs. We provide high-end software training in all the most demanding technologies like Java, Oracle, J2EE, Microsoft .Net, C , C++, SAP, Web Designing, Embedded Robotics and IT Security & Ethical Hacking. This course builds the skills required to reverse engineer 32-bit and 64-bit applications, perform remote user application and kernel debugging, engineer 0-day exploits, analyze patches for 1-day exploits, and write complex exploits against modern software and operating systems.